[toc]A person with normal intelligence who experiences difficulty in reading, writing and spelling is called a dyslexic. Oswald Berkhan identified dyslexia as a distinct learning disability in 1881. However, it was Rudolf Berlin who conceived the name ‘dyslexia’ in 1887. A common learning problem, dyslexia is typically detected in young children when they start to experience difficulty in reading and also suffer from other allied learning problems. Dyslexia, which persists throughout an individual’s life, can vary in intensity from mild to severe. The success of treating this particular learning developmental disorder depends wholly on detecting this condition in children at an early age. Dyslexia which should not be mistaken for mental retardation can be diagnosed by looking for specific symptoms in young children. Some common symptoms of dyslexia are described below. The initial symptoms of dyslexia can be so inconsequential, that a lot of teachers and even parents fail to recognize it. 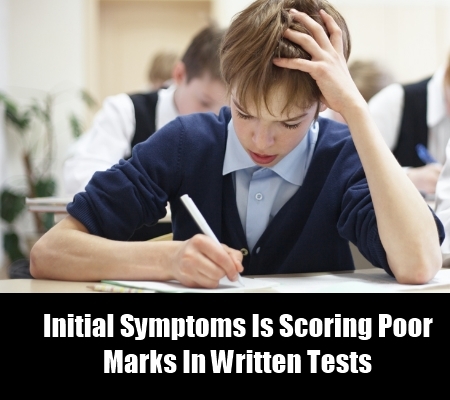 An early symptom of this learning disorder includes consistently scoring poor marks in written tests (while doing exceptionally well in oral exams) even though the child has an above average IQ. Despite having ingenious compensatory strategies, a dyslexic child suffers from poor self esteem. Children who have this condition may be hyperactive, lose track of time frequently, and get frustrated often. 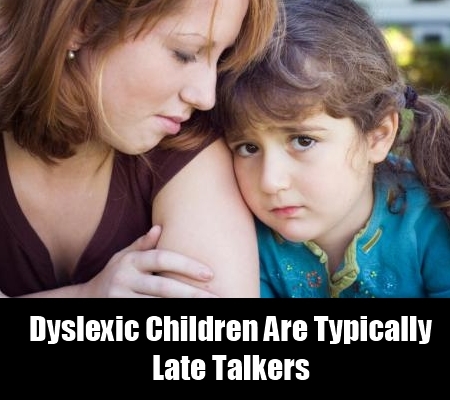 Dyslexic children are typically late talkers. 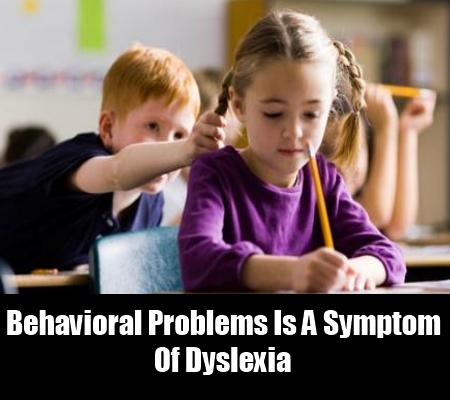 When parents of a child who is older than four years is found having reading problems, talking in an immature fashion or displaying difficulty in comprehending simple grammar, they should consult a doctor to determine if their child is dyslexic or not. If the child is diagnosed as being dyslexic, the parents should take immediate and special measures to improve their child’s speech development. 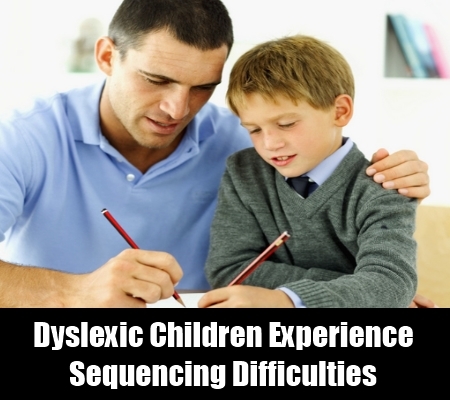 Dyslexic children experience sequencing difficulties i.e. placing objects or remembering things in a sequence. The sequencing difficulties experienced by a dyslexic child may even affect his or her ability to remember the alphabets in logical order. Sequencing difficulties can cause dyslexic children to muddle up the alphabets, the days of the week, seasons or simple letters. As an example a child with dyslexia may read ‘animal’ as ‘aminal’. 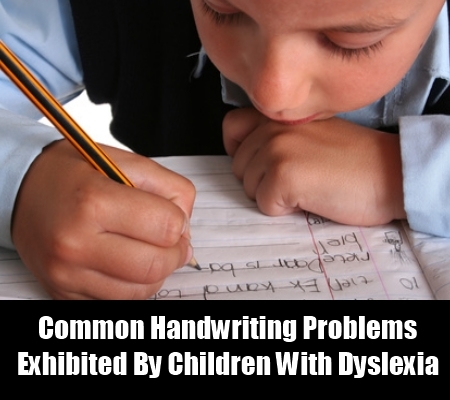 Illegible writing, unfinished letters, mixture of upper and lower case letters in a single word are some of the common handwriting problems exhibited by children with dyslexia. Children with dyslexia may also experience a certain degree of difficulty in copying sentences from the blackboard. These children are unable to grip their writing tools like pencils or pens properly. The handwriting of dyslexic children is illegible and extremely difficult to decipher. Dyslexic children have excellent long term memory (especially the ability to recall experience, locations and faces) but poor short term memory. The poor short term memory among dyslexic children can affect their ability to comprehend subjects taught at school. 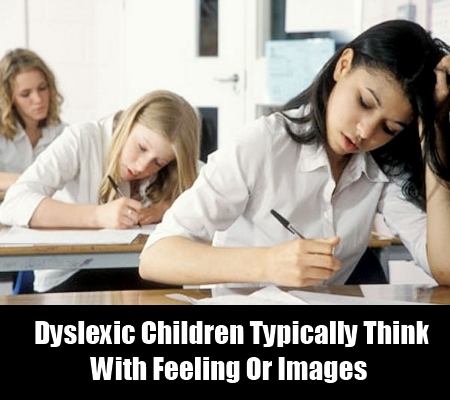 Dyslexic children typically think not with words or sounds, but rather with feeling or images. Dyslexic children are super sensitive and tend to be absolute perfectionists. Chiding a dyslexic child for a mistake he or she may have committed can cause him or her to suffer from extreme emotional stress. 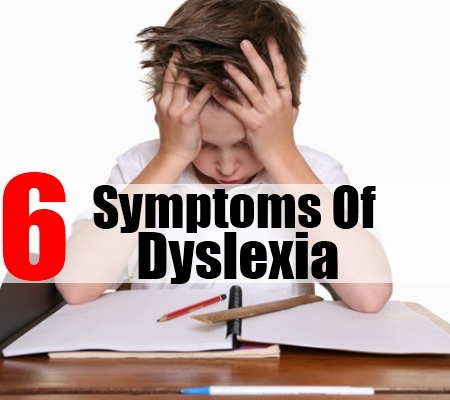 The terrible emotional stress experienced by a dyslexic child is often translated into frequent health problems. Children with dyslexia have a higher likelihood to suffer from bed-wetting episodes, especially when they are emotionally stressed out.